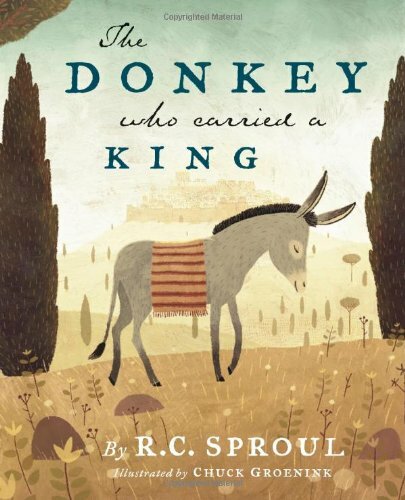 The biblical teaching that Jesus was the Suffering Servant who carried the sins of His people when He went to the cross is vividly brought home to children in The Donkey Who Carried a King, a children's book from respected theologian, author, and educator Dr. R.C. Sproul. Davey was a young donkey who was bored and unhappy because he was never given anything to do. Then one day, some strangers came to the gate and Davey's master picked him for a very special task. Davey carried the King, Jesus, into Jerusalem. A few days later, Davey saw some angry people making the King carry a heavy beam of wood. Davey could not understand it until another donkey helped him see that the King was being a Servant on behalf of His people. The Donkey Who Carried a King offers a unique perspective on the events of Jesus' Passion Week and calls all believers, both young and old, to follow in the footsteps of the Suffering Servant for the glory of God. Jesus was willing to leave the glories of heaven to suffer and die in this world on our behalf, so we should serve Him with all our hearts. If you have any questions about this product by Reformation Trust Publishing, contact us by completing and submitting the form below. If you are looking for a specif part number, please include it with your message.